WiFi, even if you're not actively connected to a network. Did you know that you’re surrendering a significant chunk of your personal privacy simply by walking around with your phone’s WiFi functionality turned on, even if you're not actively connected to a network? Marketers can learn what device you own, your signal strength and a unique ID code called a Media Access Control (MAC) address simply by having a scanning device near your phone. From there, tracking your physical movement in stores, including what areas you frequent and how long you stay in each, is a simple effort. But that’s all changing for Apple iPhone owners later this year with the coming release of the iOS 8 mobile operating system. A small coding change will stop marketers from learning your MAC so easily, giving us smartphone owners a small privacy victory over big data. Of course, if you actually connect your smartphone to a public WiFi network, all privacy bets are off. Many public networks are unsecured, giving hackers easy access to your data if they want it bad enough. 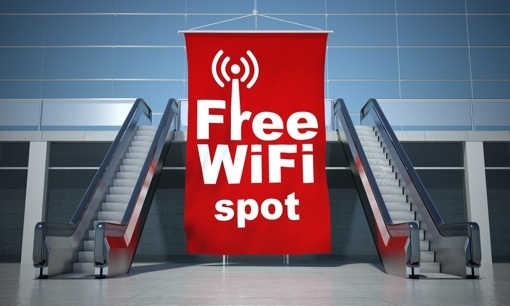 And those free WiFi connections offered by stores like Target and Home Depot often have a hidden privacy price: Using them requires you to agree to let the stores track your physical location and your browsing habits. If you’re anxious about being tracked, all you need to do to protect yourself from this kind of data sniffing is to turn off your phone’s WiFi functionality when you leave home or work. Not only will you be able to hide from these increasingly invasive marketers, you’ll save a bit of battery life in the process.